At the end of a quiz, users receive a calculated result based on how the user answered - whether it is a personality, score range, etc. To override the default functionality and redirect quiz takers to a certain URL, click on 'Redirect Results' in the Interact Quiz Builder under the 'Results' nav section. The 'Redirect Results' window should appear listing the current Results within this quiz. To enable redirection, check the box next to the respective result. Enter the URL which will be redirected to once the result has been reached by the user. 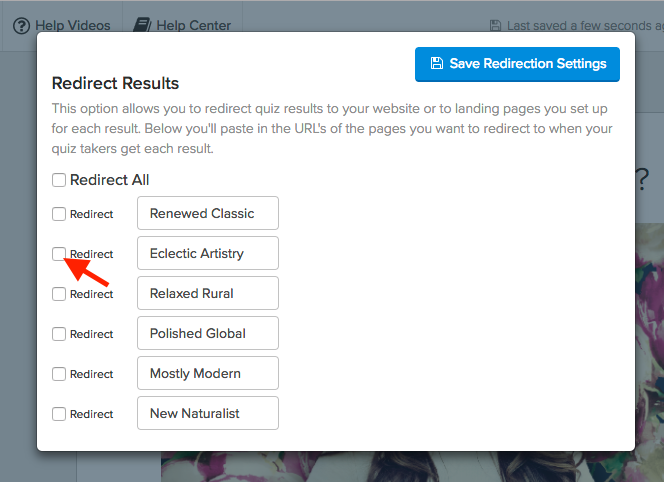 The redirection setting will ONLY be enabled if a valid URL is entered. 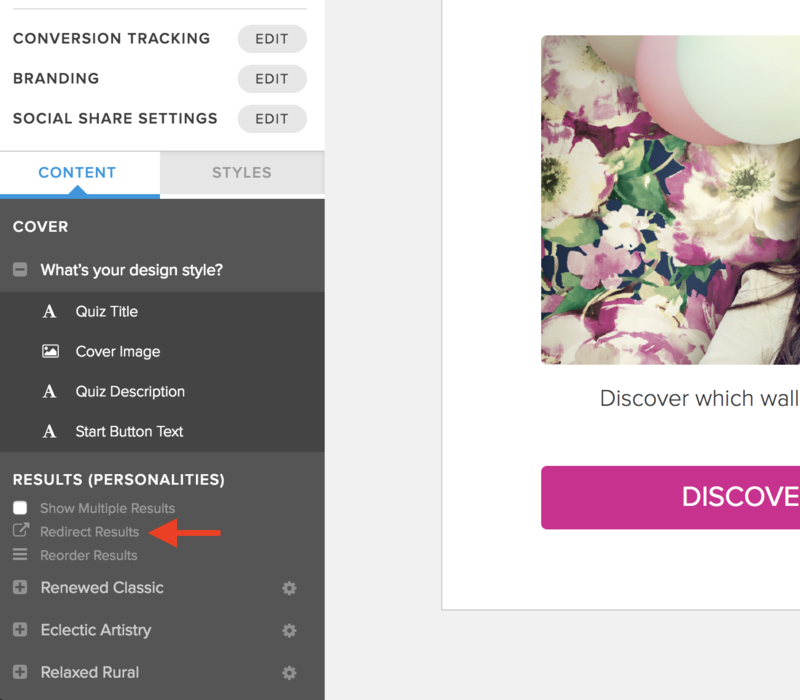 Save your quiz and make sure to Share & Embed to publish your changes live. Once a user takes your quiz and receives that result, it should redirect them to the URL. One of the caveats with result redirection is embedding your Interact Quiz within an <iframe> element on a webpage. With a valid redirect enabled, this means that your user will receive their result, trigger the redirect to the correct URL, but all within the embedded <iframe> dimensions and location. 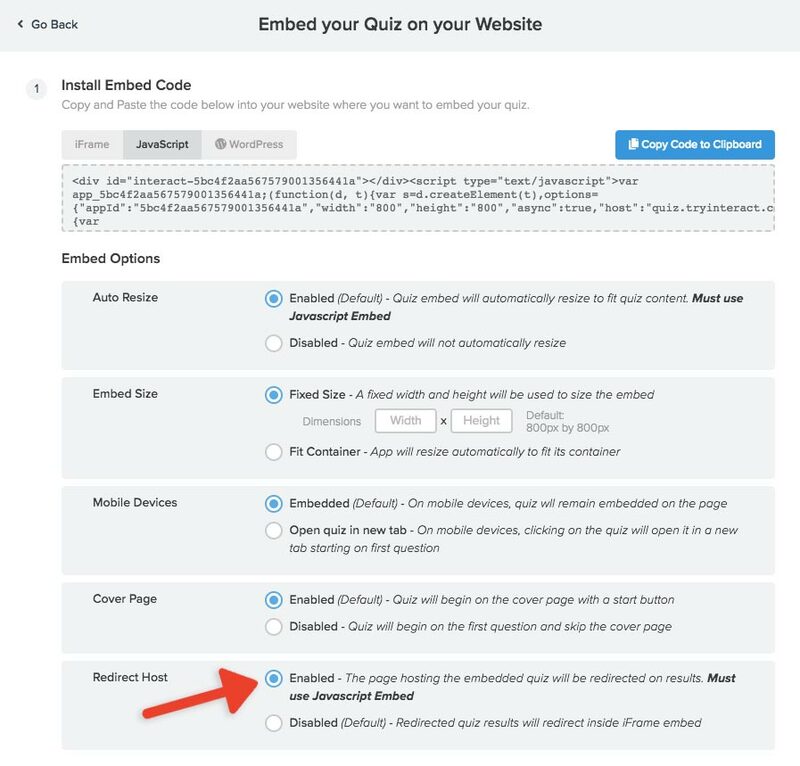 Redirecting the host page of your embedded quiz <iframe> will navigate the user's web browser away to wherever you specify. Enable redirection for at least one result within the Interact Quiz Builder (see steps above). Click 'Share & Embed' on the particular quiz to see the embed options. Click 'Embed your Quiz on your Website'. Under the 'Redirect Host' setting click on 'Enable' to enable this feature.